While members of the Texas House Republican Caucus were meeting in Bastrop at the Lost Pines Resort for their annual member retreat, one instructed his staff to file the paperwork necessary to run against House Speaker Joe Straus. “I have served in the House under the leadership of three different Speakers. What I have learned is that the role of the Presiding Officer is not to control the House, but rather to facilitate, assist, and empower all members to represent their districts, promote their ideas, and implement their policies,” he added. “Between now and January 2019, I look forward to sitting down with my colleagues and sharing my vision for leading the Texas House as a true servant leader,” he concluded. Though currently the choice for Speaker is limited to King and Straus, a number of other individuals have been rumored to be considering campaigns of their own. Originally elected in a coup against Republican Speaker Tom Craddick of Midland, Straus has controlled the House with a coalition of Democrats and Republicans since 2009. During the recent regular and special sessions of the Texas Legislature, Straus gained notoriety across the state for killing a large share of Gov. Greg Abbott’s conservative agenda. King’s decision follows a meeting during the GOP caucus retreat where Republican representatives were scheduled to discuss the adoption of a process whereby caucus members would unite behind a candidate for speaker. 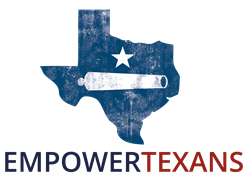 That policy is called for in the Texas GOP Platform and would be designed to put Republicans fully in charge of the lower chamber, instead of allowing a minority of their membership to control the chamber by sharing power with Democrats. The caucus meeting was reportedly successful. Approximately two thirds of the caucus attended and there was unanimous agreement to move forward on a speaker selection process. A draft rule was circulated and a working group was appointed to study the details of the proposed process. The working group is scheduled to report back to the caucus in 30 days and the caucus is scheduled to vote on the proposal within 60 days. These developments come on the heels of growing grassroots dissatisfaction with the status quo. Over the summer, fifty Texas county Republican organizations, representing over 52% of Texans, have approved resolutions calling for Straus to be replaced as speaker.